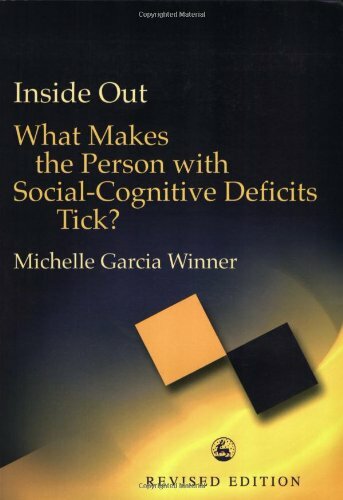 Inside Out: What Makes a Person with Social Cognitive Deficits Tick? by Michelle Garcia Winner. The book introduces Michelle’s ILAUGH model, which helps folks to see the connection between social and academic skills. This model provides a way to pinpoint specific areas of challenges that a student may face and how these impact school, work and social interaction. For ages K-adulthood grade and beyond, this also provides insight on what information we expect students to develop “naturally” to become strong learners. Pp 202. This entry was posted in Our Library, Social Skills and tagged Autism Spectrum Disorder, books, Michelle Garcia Winner, social skill. Bookmark the permalink.